Winter has knocked everyone’s door by now, so it is high time to protect your child from this chilled weather. Most of the kids tend to fall sick during winter due to common cold virus. It is always alarming for parents when temperatures drop, and kids need extra attention to stay warm, safe and healthy. Taking care of kids during winters could be the most tedious task as they always want to roam and play outside to enjoy their winter vacation. But as parents, we should make some small changes in their daily routine during winter to protect them from various diseases. These easy hacks will help you to protect your kid during the winter. A proper warm covering is very essential to protect your kid from harmful winter winds. Your child needs adequate number of clothing to maintain her body temperature. Make sure that apart from her chest, your kid’s hands, neck and ears should be covered completely. Also, layered clothing will definitely help them adjust with the surrounding temperature, for e.g. If they are sweating while playing, they can remove the topmost layer of clothing. 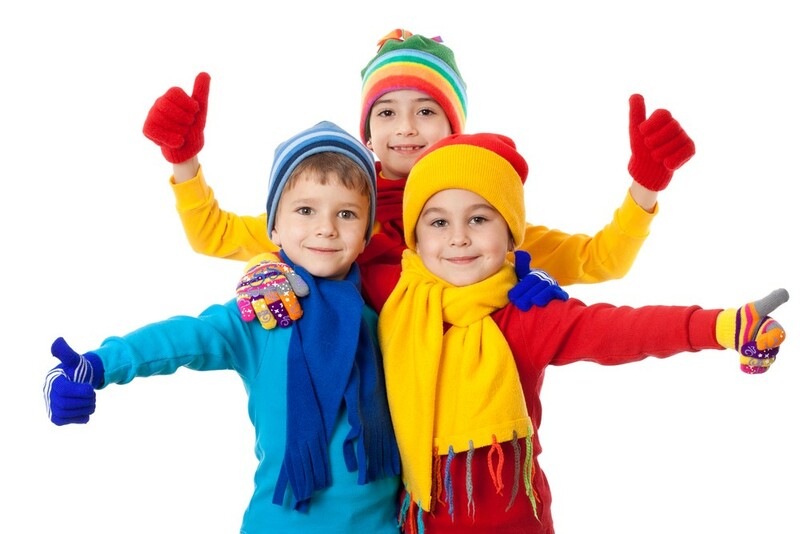 You can typically divide clothing into three layers, 1st layer (innermost) can be of thermal wear or a woolen t-shirt, the 2nd layer can be thick woolen sweater, while the last outer layer could be a pullover or a water proof woolen jacket, all these should be paired with woolen socks, muffler and a woolen cap. A healthy and correct diet during winter will surely help your little baby to develop immunity in the body, which ultimately protects and gives them strength to fight against germs and infection. Green leafy vegetables and colorful fruits should be included in your child’s regular diet; also we should include carrots, green beans, oranges and strawberries in their plate as they contain immunity-boosting phytonutrients, vitamin C and carotenoids, which increase the production of white blood cells and helps in fighting infections. Due to dry harsh winter winds, kids tends to lose more body water by breathing itself. 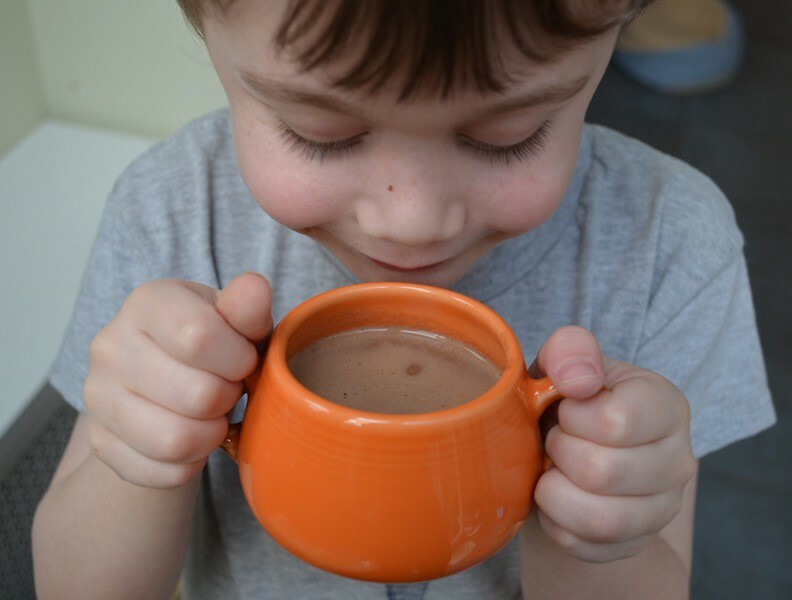 You should always try to keep them hydrated by giving different warm drinks and soups. 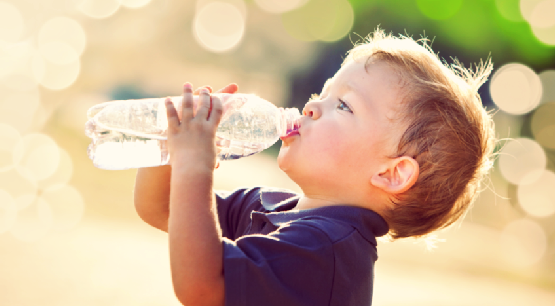 Proper hydration will improve the immune power in the season of cold and flu. Also lack of water in the body can lead to dehydration. A proper water intake also helps in regulating body temperature; Not having enough fluids can cause your core temperature to drop. In fact, one of the biggest reasons people suffer from hypothermia is that they become dehydrated while staying outside for an extended period of time. You should also avoid giving cold drinks to kids during winters. Baby skin needs utmost care during winter, most of the kids encounter dry and chapped skin in winter due to lack of skin care, some may even face skin infections. To prevent this, a regular body massage, possibly with warm oil, will leave the baby’s skin happy and healthy. Coconut or olive oil are the best oils to use during winters. Also try not to give your baby a bath immediately after the massage, wait for some time and allow the oil to penetrate inside the skin to keep the skin moist and soft. Your baby’s hair too need same nourishment and care like skin, so try to give a good head massage to your baby before and after bath. Most paediatrics suggests that during winter, giving two to three times bath in a week to a baby is more than enough. As giving bath daily can take away moisture from baby’s skin and this leads to dry and unhealthy skin. It will be the best option, if milk is used for bathing, just apply milk all over the body rub it for a few seconds and then wash the milk completely by warm water, as milk helps in retaining the skin moisture, the skin will appear even more softer. Most important thing to keep in mind during winter is the temperature of water used for bath, as it should be moderate, not too hot or too cold. Moisturizing is the most important and essential step, in the journey of taking care of your little one’s skin during winter. An adequate amount of moisture should be applied all over the body at least two to three times a day. But make sure the hands and feet are properly cleaned before applying moisturizer, for e.g. ask her to clean her hands and feet with lukewarm water after every playing session, the water should wiped properly with a clean towel, after that you can moisturize your baby’s skin. Please make a serious note that applying moisturizer on a skin with dust and dirt, can cause skin irritation. 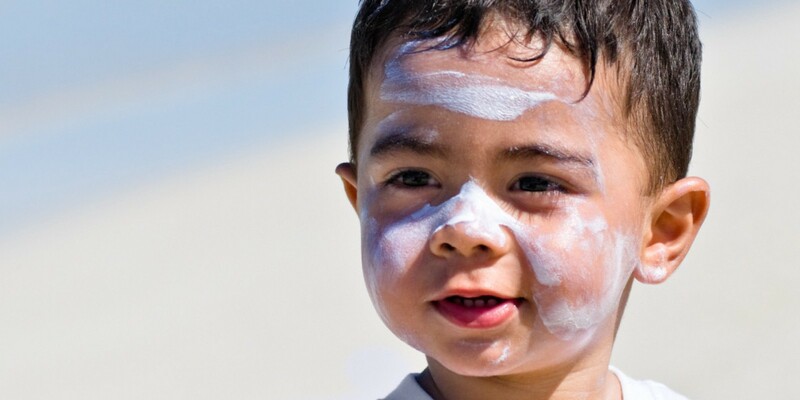 Applying good sunscreen is very essential for kids in winters too, as most of the parents don’t know that we need to protect our children from the harsh ultraviolet rays that are beaming down on us round the year. Some days are too cold to allow your kid to play outside. 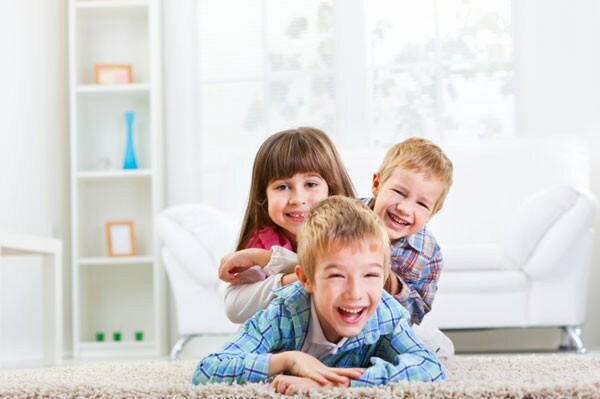 For that period it is always a better idea to engage your kiddo in some indoor activity and this could be the best way to protect your kid from winter. You can encourage your baby to gather some of her unused toys and clothes to donate it, also motivating them for craft can be another good option, last but not the least you can enjoy cooking with your child with some dish that doesn’t include the stove in it. For e.g. bunny face sandwiches or salad, etc. This is the most alarming aspect during winters that many parents ignore. Please make sure that your baby is not overheated due to many unwanted layers of clothing. As this can lead to suffocation, mainly for small babies. Frostbite can be termed as numbness in fingers; ears and nose, which eventually leads to redness and pain. While hypothermia is the decrease in body temperature, which can affect the brain and muscle functioning. If you encounter any of these issues with your kid, do consult your doctor as soon as you can, meanwhile you should remove the wet clothes and cover your kid loosely with a dry blanket, also this time, never expose your kid directly to heat or hot water it can harm the tissues. Most kids encounter ear pain in this weather. To prevent it, you can put cotton buds into your little one’s ear and then cover the ears with a woolen cap, but make sure the buds should be big enough, so that it won’t penetrate inside the ear and harm your kid. There is a good saying, “Prevention is better than cure”, so just try these super easy hacks, which will surely help in preventing some common winter flu and infections. So as of now just enjoy the weather and ensure that your kid is healthy and happy this winter.